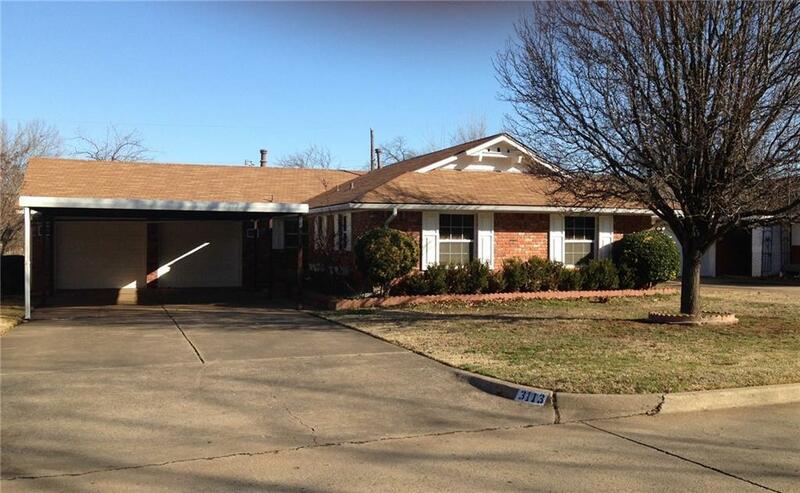 3113 NW 34th Street, Oklahoma City, OK.| MLS# 852890 | Oklahoma City Real Estate | Apple Realty, Inc.
LOOK at this home! Ready to move in... It features Lots of room with 5 Large Bedrooms, all with Ceiling fans and large closets, 3 Bathrooms. Kitchen has Granite Counter tops and built ins; Drinking Water Filter System; 2 inch new wood blinds throughout home; Double Pane Windows; Storm Doors; Storm Shelter which seats 6; Newer Covered Carport for protection for additional cars parked outside the 2 car attached garage with 2 garage door openers; Large Driveway will hold 6 cars; New Roof installed in 2012. HVAC installed in 2011. This home has been well cared for---very clean! This Home is very accessible to interstates, highways, medical care and shopping.